College life has been difficult for Austin Forney, yet wonderful. The junior has soared with feelings of inclusion and ached with the pain of isolation. 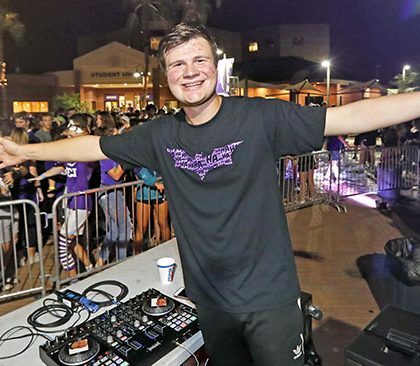 Through it all, he has relied on the support of his mother, Melissa Pullon, and a mix of students and adults on campus who have lent a helping hand. 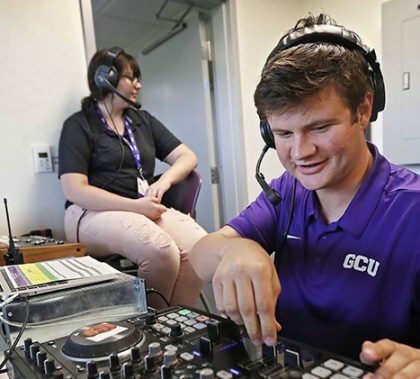 In turn, Forney has helped out, sending hearts soaring with his musical selections for The Gathering in 2017-18 and as disc jockey for athletics events in 2018-19. This is the final part of a three-part series. Easter egg hunts start at noon and 2 p.m. Reservations: 602-639-8502.